Kol Menachem publishers of Kabbalah and Judaic Biblical text, including Torah commentaries, studies of Rashi, soulful, Chassidic insights based on the Lubavitcher Rebbe, Rabbi Menachem Mendel Shneerson, for the layman and scholar a like. 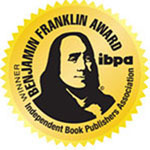 Winner of the Benjamin Franklin Awards 2008. 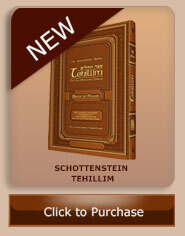 "If there is a Haggadah for Everyman, this is it." "From all the Haggados that I have set my eyes upon I have seen never seen something like this"
Harav Moshe Wolfson,Mashgiach Ruchani, Yeshivah Torah v'Daas. 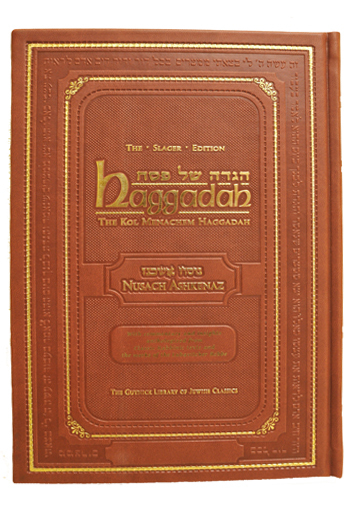 The award winning layout of the Kol Menachem Haggadah is pleasing to the eye, artistically beautiful, and clear, and it contains explanatory notes which are helpful to the beginner Seder leader as well as to the most educated veteran. But the commentary is the true tour de force of this work. It provides important material in four areas of interest: The text itself, Jewish law, personal growth, and mystical/inspirational themes. In each of these four areas, the commentaries are startlingly relevant to contemporary life, and of practical help to every level of reader. Beautifully typeset, with gold-leaf like margin designs. Clear instructions on how to conducting the seder interspersed throughout. Special introductory price! Beautiful gift for anyone.